This memorial website was created in memory of our loved one, Dann Cahn, 89, born on April 9, 1923 and passed away on November 21, 2012. Where Dann Cahn is buried? Locate the grave of Dann Cahn. How to find family and friends of Dann Cahn? What can I do for Dann Cahn? 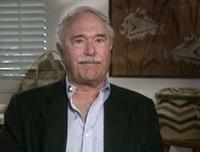 He was an American film and television editor. Cahn was the son of Philip Cahn who was the famous American editor. Cahn become known for his work on "I Love Lucy," where used of the three-camera method of filming and editing TV sitcoms. He supervised editing of several of TV shows Our Miss Brooks, The Real McCoys, The Life And Legend Of Wyatt Earp, The Untouchables and several TV movies Bates Motel and Bud And Lou and others. He died of natural causes at his home in west Los Angeles. Note: Do you have a family photo of Dann Cahn? Consider uploading your photo of Dann Cahn so that your pictures are included in Dann Cahn's genealogy, family trees & family history records. Sysoon enables anyone to create a free online tribute for a much loved relative or friend who has passed away. Address and location of Dann Cahn which have been published. Click on the address to view a map. Dann Cahn was born in Hollywood, California, United States. 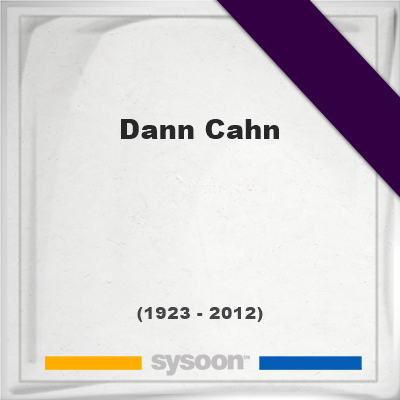 Dann Cahn died in West Los Angeles, California, United States.